A baggage cart crashed into a plane that was stopped on the tarmac at Midway International Airport Thursday night. 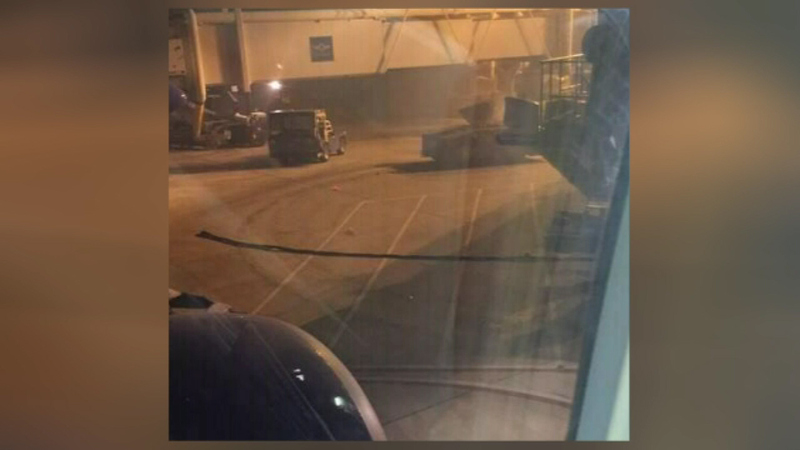 CHICAGO (WLS) -- A baggage cart crashed into a plane that was stopped on the tarmac at Midway International Airport Thursday night. The cart also hit the jet-bridge, the enclosed ramp that connects the plane to the terminal. Passengers could see smoke from their windows. The plane was not moving at the time, and no one was hurt. The flight had departed from New York City earlier in the day.